March is winding down, and while it saw rotten weather in the Northeast, there's at least one anecdotal sign of thaw: Chuck Rozanski reported yesterday that the month to date is up 63% at Mile High Comics. That's highly unlikely for the Direct Market at large in March, which is up against a month with one more shipping week; breaking even would be a considerable feat. But we can at least get a glimpse of what's going on from the latest reorders and advance reorders placed with Diamond Comic Distributors. 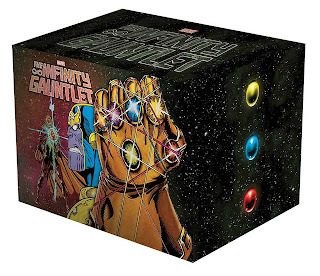 The $500 Marvel Infinity Gauntlet Box Hardcover Slipcase Set repeated as both the top hardcover and top item overall in reorders. It was a March 7 item. (Possibly not next week, as it's marked as of today as out of stock at Diamond.) 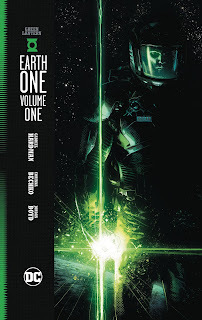 There were quite a lot of hardcovers in the reorder charts this time out, including Green Lantern Earth One Vol. 1, which placed second overall. It was released March 14. Continuing the Thanos theme, the Infinity Gauntlet trade paperback was the top reordered softcover. Oblivion Song #1 repeated as the top comic book reordered. It's had that status three weeks in a row. It arrived in stores March 7. After a week in which Action Comics #1000 advance reorders pushed much else out of the advance reorder chart, Marvel returned to take 18 out of the Top 25 spots. The regular edition of Amazing Spider-Man #799, due out April 18, was the top advance-reordered comic, followed by one of its variants and reprints of two earlier issues. 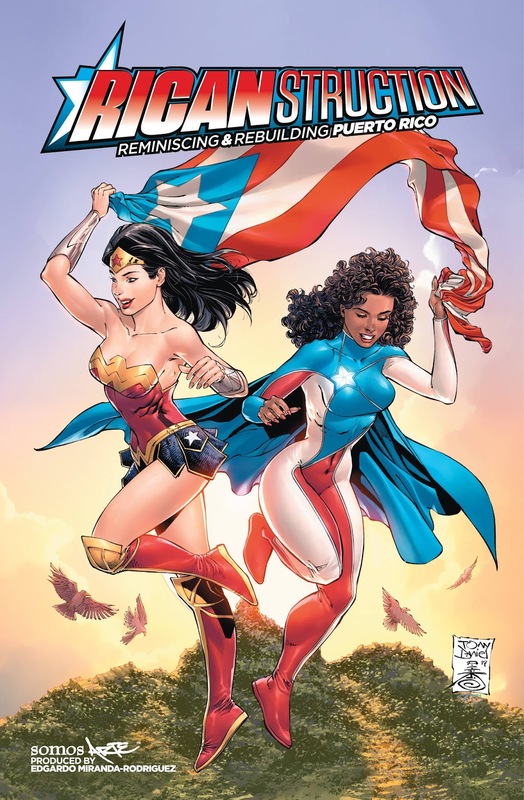 The Ricanstruction: Reminiscing and Rebuilding Puerto Rico benefit anthology from Somos Arte was the top advance-reordered trade paperback; it's expected to go on sale May 23. No hardcovers made the charts.